We are happy to announce that FenBoy will is being re-commissioned by Transported Art this Autumn! This means we are able to bring the story from outdoors to indoors, offering a whole new range of exciting possibilities in the way we tell it. 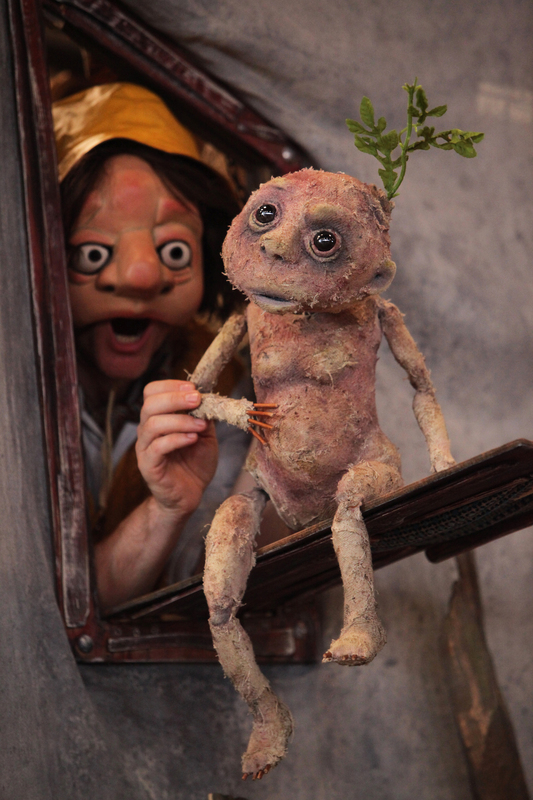 Using music and mask, projection and puppetry, FenBoy is based on British folklore and the trickster fairy Boggart. This is the tale of a tiny creature made from mud, found by a farmer who bests his new master. Suitable for all – we’ll tell you a tale, sing you a song and give you a taste of the unexpected! Originally commissioned by Transported Art in summer 2014 and performed on a 13m haulage truck this piece is now touring indoors to the widest variety of venues from theatres to seed sheds. Last year our audiences said “The magic and humour takes you into another world, go and see it!! FenBoy will be premiered at the Tunbridge Wells Puppet Festival on October 10th. We will then go on to touring rural venues this autumn with Applause Rural Touring and performances in Scotland with NEAT in November. The show will be double the length of the original 30 minutes and we will be changing parts of the content to suit the new setting. Working with the Freshlinc Drivers on their haulage trucks during the first run of the show was a great experience and we are very grateful for the care, support and contribution they made to the project. To view the tour dates for FenBoy, Please visit here.